When [World War II] ended, there were about twenty-five million cars on the road, and most were more than ten years old. People wanted new cars and Ford was eager to meet the pent-up demand. Several hundred workers, including many returning veterans, were brought back to the St. Paul plant during the summer of 1945 to start the plant's conversion from military to civilian production. 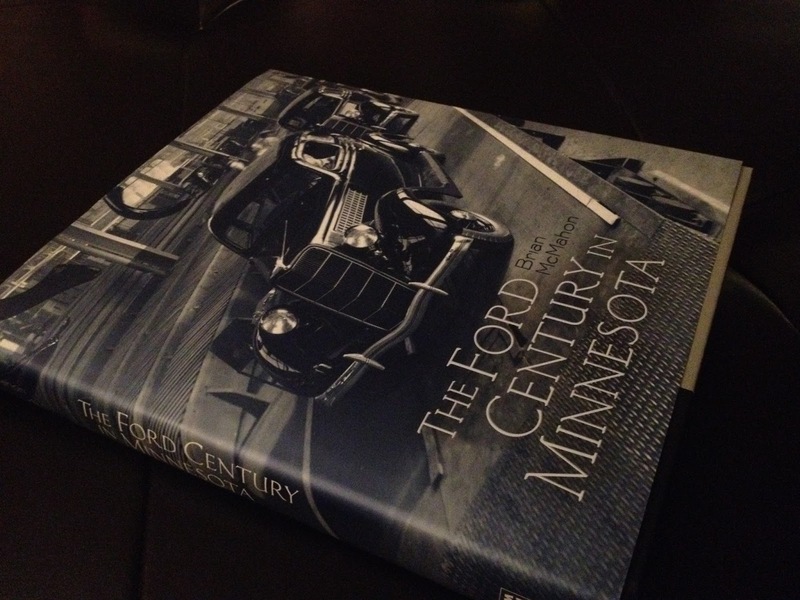 Ford shipped three hundred new 1946 model cars from Michigan to the Twin Cities to showcase its new lineup. After the new production equipment was installed, the new vehicles rolled off the assembly line, starting with school-bus chassis, followed by trucks and cars. The glass plant started up on July 6, 1945. Soldiers, many without jobs or permanent housing, returned home to families they had not seen in years. Under federal law, veterans could return to their jobs at the Ford plant and keep their union seniority, receiving credit for their years in the military. Some of the women who had been working at the plant wanted to stay but did not have the same protections. There were only 1,800 job openings at the plant, down from the three thousand during the war. During the war, women were viewed as important contributions, portrayed as Rosie the Riveters, but demobilization abruptly changed this perception. Now they were seen as competitors to men for jobs in an uncertain labor market. According to polls taken at the time, most women wanted to continue working, but there was enormous pressure for them to return home. "All of a sudden, in every medium of popular culture," wrote Doris Kearns Goodwin, "women were barraged with propaganda on the virtues of domesticity." During difficult economic times, there was resistance to women working. During the Depression, a number of states passed laws prohibiting married women from working if their husband had a job. 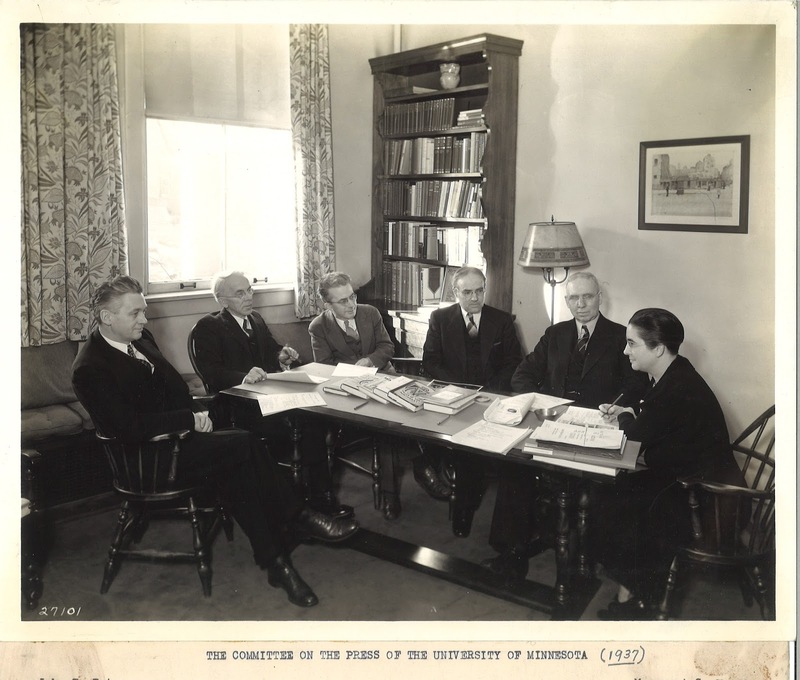 The United Automobile Workers (UAW) had little interest in expanding employment opportunities for women, and on more than one occasion opposed women's participation. During the war, the government instituted protections for women, including equal pay for equal work. This sentiment, however, was not widely shared by autoworkers. Recognizing the problem, UAW president Walter Reuther said, "Industry must not be allowed to settle the labor problem by chaining women to kitchen sinks." Maury Maverick, a federal official at the Smaller War Plants Corporation, said, "Women have learned too much to go back . . . [they] will either be out hooting it up or doing something constructive so we have to be doing something to make it so they can work." Most women at the Twin Cities Assembly Plant left voluntarily, but not Verna Welsch, who lost her husband in a car crash a month before their son was born. For her, the well-paying Ford job was a necessity. She was assigned a variety of difficult jobs after the war, which she believed were intended to force her to quit. In one incident she believed her rib was broken by a not-so-friendly bear hug from another male worker. She remembered one particularly difficult day, where "they put me down on body build washing floor pans. I had to get all the wax off so that the paint would stick and jiggle them apart and turn them over. It was hard." In another instance she was assigned to cleaning parts with chemical solvents that her coworker across the line splashed on her, causing an allergic rash. One day the men in the department were watching her closely, but they abruptly left, perplexing Verna. She assumed it was because they didn't want women workers, but when the men returned, one said, "That's not it at all. We went up and put our money down on a bet to see how long you would stay." Verna responded: "Seeing you were so nice to come and talk to me, I hope you put the largest amount because I'm going to stay here till they carry me out on a stretcher!" In 1946, Verna and a number of women were assigned to the instrument panel line, which was similar to their wartime work on the Pratt & Whitney engines. Years later, Al Hendricks, a union official in both St. Paul and the International UAW in Detroit, acknowledged that "both the union and management made it so a lot of them quit, the way the guys treated them and the mentality that they were taking men's jobs that come out of service." 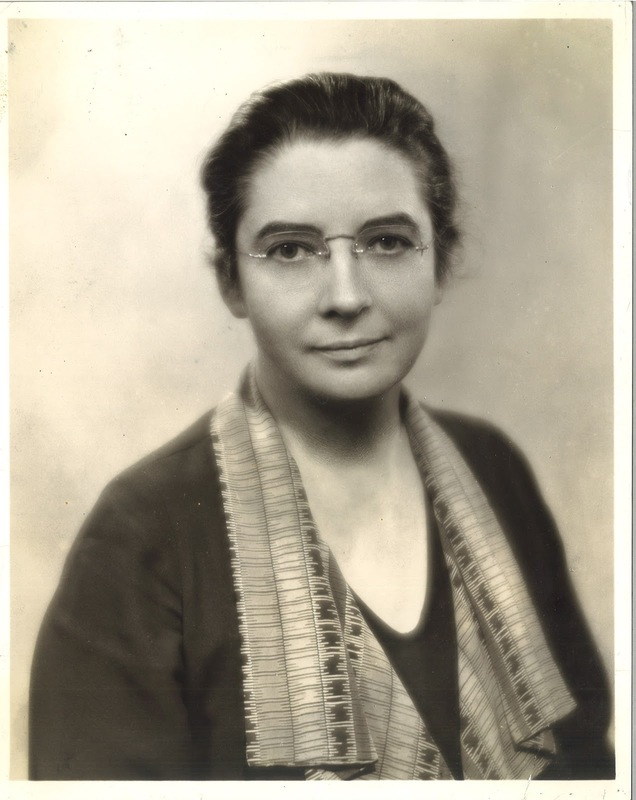 When car production resumed, Hendricks encouraged women to apply for better jobs as they opened up. "Verna Welsch was a very bright woman. I told her, 'There's a stock status job open . . . Put your name in for it.'" Verna declined, believing she had little chance for the job, but Hendricks put her name in anyway. She came out on top in the test score and worked in that position until she retired in 1974. In 1957, the St. Paul Pioneer Press profiled the four remaining "Rosie, the Riveters." One who "stuck it out" said she received a good wage but the challenges she faced were very real, as the article stated: "They are vastly outnumbered by their male counterparts, some 450 to one . . . The present assembly line is not geared for employment of women, except in the jobs these four do." 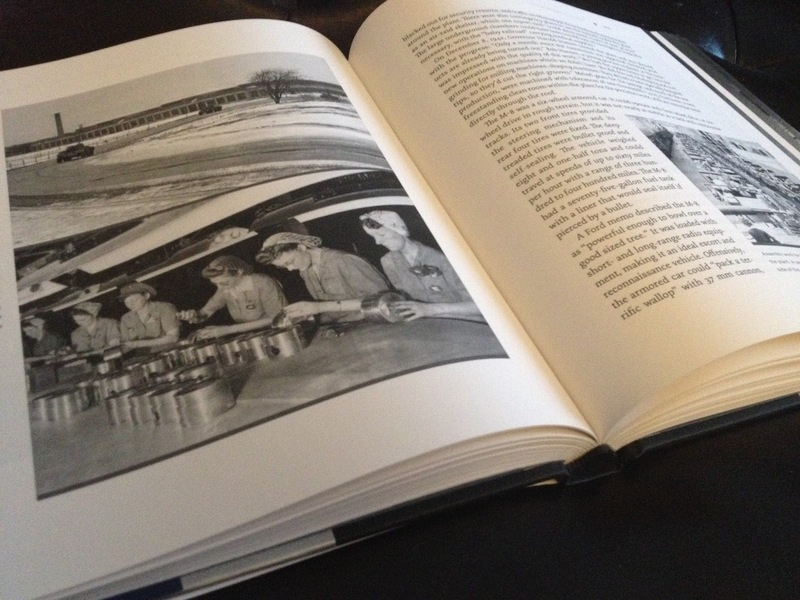 During the war, women made enormous contributions working in factories. Those with families were able to place their children in nursery schools and day-care centers that had been set up with federal funding. 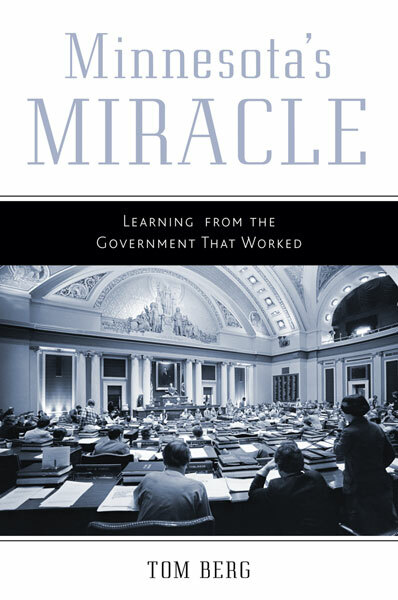 After the war, Minneapolis mayor Hubert H. Humphrey lobbied to keep these programs in place until all veterans had returned and found employment. He also pushed to have the government fund housing programs to address the serious shortage. 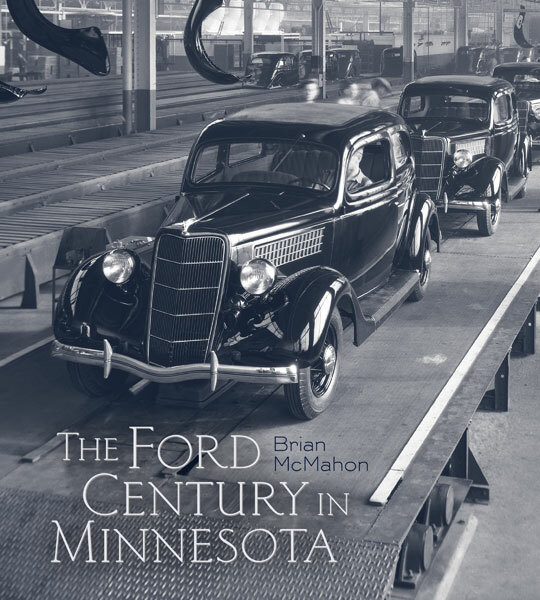 Brian McMahon is author of The Ford Century in Minnesota. A trained architect, he has lectured and written extensively on industry, urban history, and architecture. 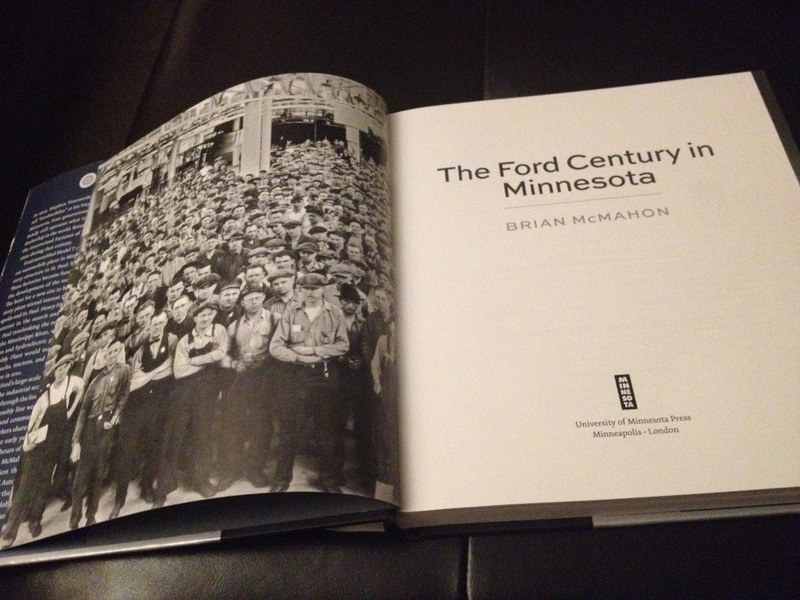 "The Ford Century in Minnesota tells the story of how Henry Ford's pioneering company arrived in the state and built its giant plant in St. Paul in the 1920s, how its workers became involved in the international organized labor movement, and how a variety of forces led to the plant's closure. 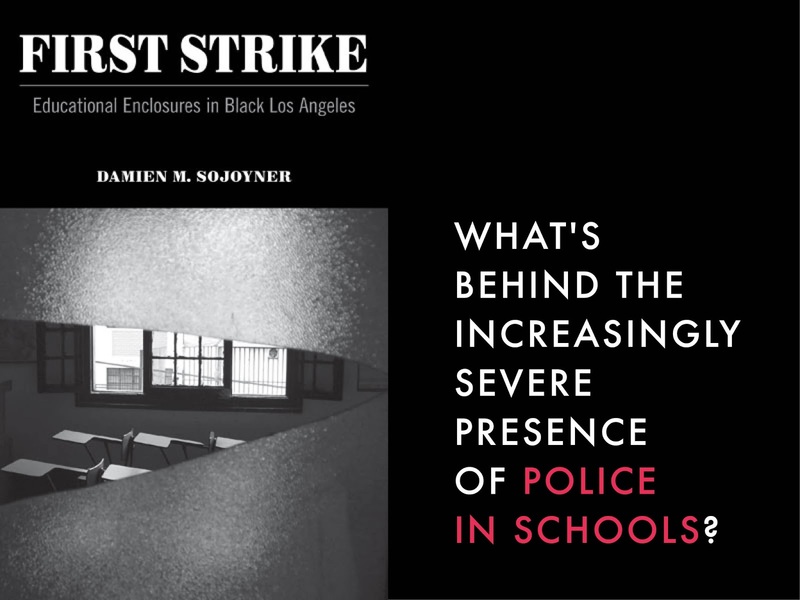 Combining political, economic, social, and architectural history, this richly detailed, handsomely illustrated book will appeal to a wide range of readers." 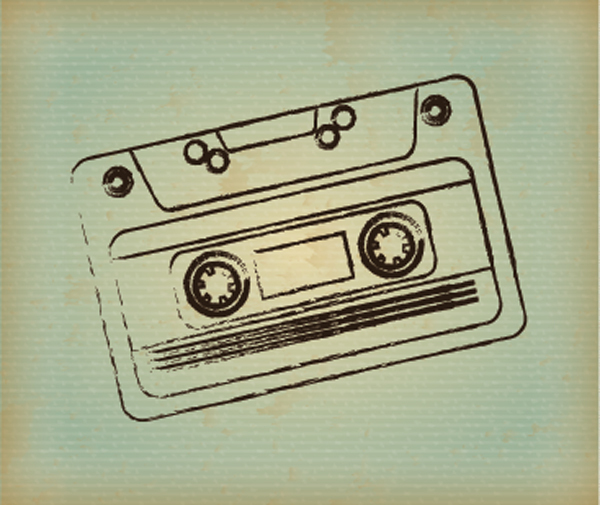 Going Underground: Jim Walsh on his earliest memory of music writing. My earliest memory of scribbling in a notebook while listening to music is New Year's Eve, 1974. I was fourteen and then as now not a big fan of mean girls and boys, so that night I intentionally stayed away from the junior high parties and was happy to have my big brother Jay's bedroom all to myself. He was at work as a busboy and waiter at Anchor Inn, now Bunny's in St. Louis Park, where our Uncle Tommy tended bar for many years. I can still see the view from Jay's window that accompanied so much of my marathon listening sessions those long-ago dreamy nights: a basketball hoop and our driveway, that still swishless nylon net alit by the Fifty-first and South Colfax–Aldrich alley lamp, and all those Minnesota stars as I hit the outer limits with Rod Stewart, Elton John, the Rolling Stones, the Monkees, America, Joni Mitchell, Bob Dylan, John Denver, James Taylor, Simon and Garfunkel, Bread, Cat Stevens . . .
Jay had great taste, smart ears, a luscious glow-in-the-dark turntable, a killer stereo system, and all the good records, and he almost always indulged my hanging out in his room at all hours of the day and night, locking myself in his little vinyl church as I would at a time when my Catholic school education was fast being eclipsed (and augmented) by the real-time fire and mysticism I was mainlining via rock 'n' roll and singer/songwriters. That last night of 1974 as I plowed through my eighth grade favorites, in a bed heaped with shimmering black vinyl records laying out of their jackets and all across the bed and floor, I listened intently into the wee hours of 1975 and wrote about how the music made me feel, where I was in my life, how it helped give me perspective on all those as-yet out-of-reach adult ideas of love, desire, and the big mysteries of life. 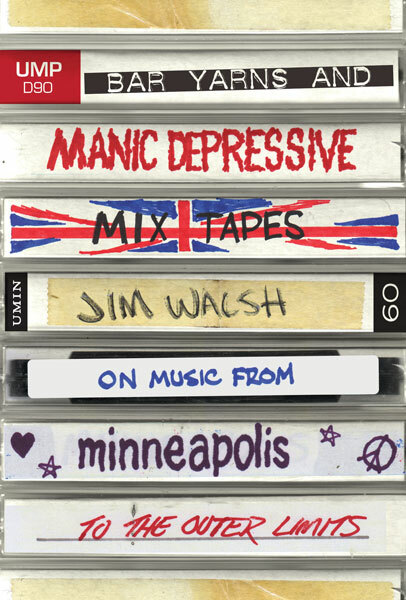 I quoted lyrics and doodled and wrote down questions and observations until 4 a.m.
Jim Walsh will read from Bar Yarns and Manic-Depressive Mixtapes at 11 a.m. on Wednesday, Dec. 21, at the downtown Minneapolis Barnes & Noble location, 801 Nicollet Mall. Jim Walsh is a Minneapolis-based writer, journalist, columnist, and songwriter and the author of Bar Yarns and Manic-Depressive Mixtapes: Jim Walsh on Music from Minneapolis to the Outer Limits; The Replacements: All Over But The Shouting: An Oral History; and, with Dennis Pernu, The Replacements: Waxed Up Hair and Pointed Shoes: The Photographic History. 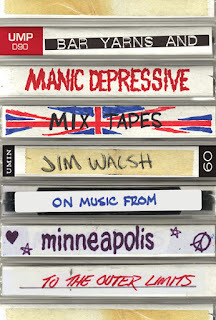 "Jim Walsh's Bar Yarns and Manic-Depressive Mixtapes is as much a chronicle of the past few decades of the Minneapolis scene as it is a pitch-perfect memoir of what it means to live for music. 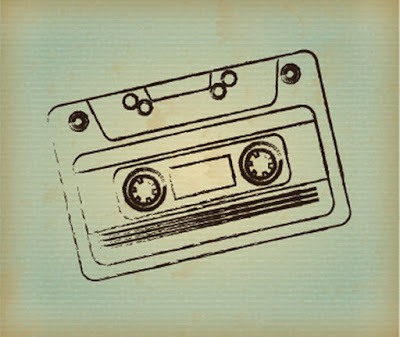 A crucial read for anyone who has spent their days and nights tangled in the tether of a song." Christmas Trees + Beatrice Ojakangas's Pulla People holiday recipe. The Christmas season for us was marked by the beginning of Christmas tree season in October. Isä [Ojakangas's father] had discovered that he could make a bunch of money by cutting and selling Christmas trees. He would pile the cut trees onto the platform of his truck and deliver the trees to a Christmas tree lot in Minneapolis. In spite of his lack of education, Isä had also figured out how to make paint for flocking smaller Christmas trees that he would deliver along with the larger trees. He studied college-grade chemistry books and ordered the ingredients to make a paint that adhered to the three- to four-foot trees, which were actually the tops of larger balsam and spruce trees. The remainder of the trees were harvested later in the year as pulpwood. Isä would flock the little trees with a fluffy substance after dipping them into all shades of blue, green, pink, and red paint. This preserved the trees so that they didn't lose their needles as quickly as fresh trees. The colored, flocked trees were packed into narrow boxes that he would pile on his flatbed truck and haul to Minneapolis to ready and eager customers. All I remember is that the lot was run by a group called the "Wise Men's Club." Later I came to realize that the name was actually the "Y's Men's Club"—the men who ran the YMCA in south Minneapolis. They were professional men who dressed well and knew that my dad enjoyed his booze. So they provided it. The hired men who accompanied my dad were always willing to make the trip with him because of that. The Wise Men's Club, knowing we were a large family, sent us Christmas gifts every year, beautifully wrapped and transported in big plastic bags. They were always a surprise. There were sweaters, coloring books, crayons, dolls for the girls, and little cars and trucks for the boys. But when Isä came home, regardless of the bags of gifts, it was another story. After his happy trip to Minneapolis, the homecoming wasn't so happy. Mummy had been left with the farm chores all day (and sometimes all night) and could hardly have been called a happy camper. She was "pissed," as we would say today. I knew how much he had had to drink when I observed him take that first step out of the truck. The memory, to this day, makes my heart thump, though I have tried hard to understand both sides of the story. Mummy used to make little yeast-raised dough people for us at Christmastime. We called them gingerbread men—but of course, they weren't cookies and they didn't include any ginger. On top of it all, she didn't have a gingerbread man cookie cutter, so she used her all-purpose kitchen knife to slash pieces of dough to shape the legs, arms, and heads of these cute doughboys and doughgirls. Of course, if you have a large gingerbread boy cutter, use it! This dough is easy to handle because it is chilled, and chilled dough is really fun to work with! In a large bowl, combine the yeast and warm water. Let stand for 5 minutes or until the yeast foams up. Stir in the butter, sugar, eggs, salt, and cardamom, if using. Gradually stir in 4 cups of the flour, 1 cup at a time, until the dough is too stiff to mix by hand (which may be before all 4 cups are added). Cover with plastic and refrigerate at least 2 hours or up to 4 days. Lightly grease a baking sheet or cover it with parchment paper. Dust the dough with flour and turn out onto a lightly floured surface. Roll with a rolling pin or flatten with the palms of your hand until the dough is about 1 inch thick. With a large gingerbread boy cookie cutter, cut out people shapes and place on the prepared pan. Or, cut the dough into 12 equal rectangles. Roll each part into a 6- by 3-inch rectangle. With the tip of a knife or with scissors, cut out snips of dough where the neck would be, to shape the head of each. Then, to shape the arms, make cuts about 1 inch lower than the neck, making the cuts on opposite sides of the body. With fingers, smooth out the body of the dough person. Starting from the center of the bottom of the dough, make a 3-inch slash to shape the legs. Place on the prepared pan, separating the legs slightly so they will not bake together. Roll one of the little snips of dough into a round shape for the head. Make a little hole where the dough person's nose would be and place a raisin in the hole. Roll out the other snip of dough into a skinny strand and place it over the top of the head to make hair. Repeat with the other dough parts to shape a total of 12 people. Let rise, covered, for 45 minutes or until puffy. Preheat the oven to 350 degrees. Brush the dough people with egg glaze, then press raisins into the dough to make the eyes, mouths, and buttons down the front of each. Bake for 12 to 15 minutes or until light golden brown. Remove from the pans and cool on a wire rack. 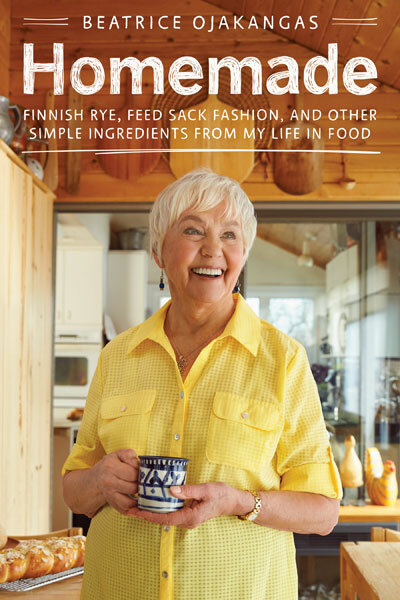 Beatrice Ojakangas is author of Homemade: Finnish Rye, Feed Sack Fashion, and Other Simple Ingredients from My Life in Food. 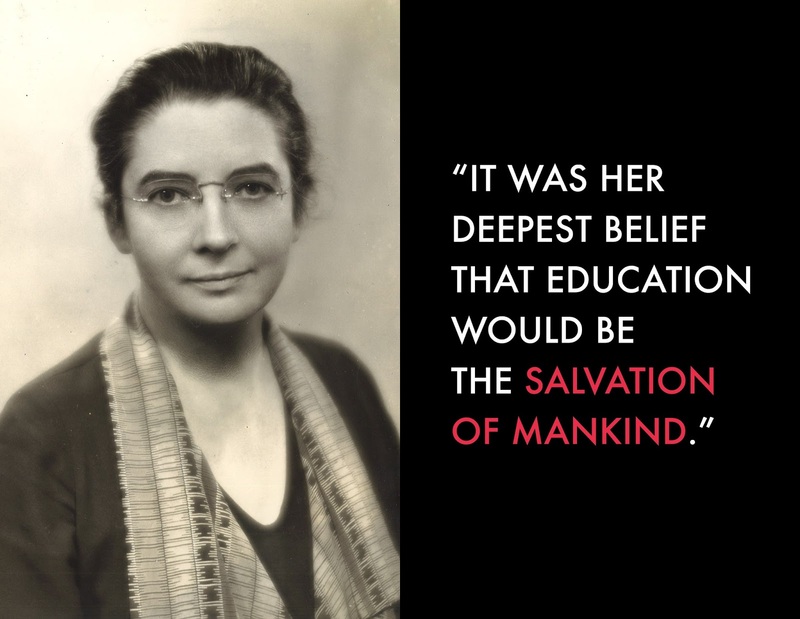 She grew up on a small farm in Minnesota and graduated from the University of Minnesota–Duluth. Ojakangas is the author of twenty-nine cookbooks and was inducted in 2005 to the James Beard Cookbook Hall of Fame. Ojakangas will be at Ingebretsen's (1601 East Lake Street in Minneapolis) on Thursday, Dec. 15, from 1pm – 2pm, to sign copies of her book. 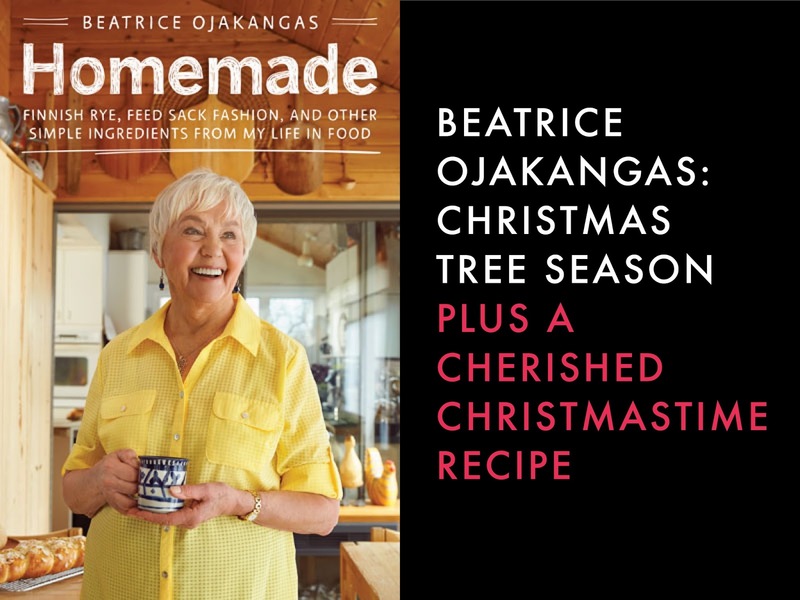 Homemade was included in Heavy Table's 2016 Local Food Gift Guide. “Everyone believes in something. I believe I will go canoeing” is a comment attributed to Henry David Thoreau, who could make a claim as America’s most famous canoeist. Regardless of whether he wrote it or not, I have understood what the words meant from about the time I was 10 years old. 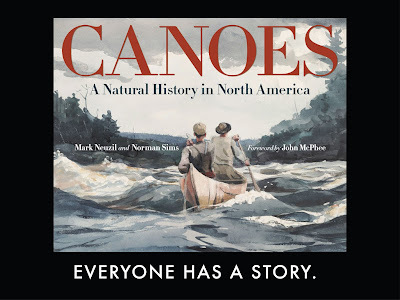 Canoes provide their passengers with a story; this has never been more clear to me than in the weeks since the publication of Canoes: A Natural History in North America, the book I wrote with my pal Norm Sims. As I have made promotional appearances, I have discovered one sure way to get a conversation started is to ask “tell me your canoe story.” Everybody has one. 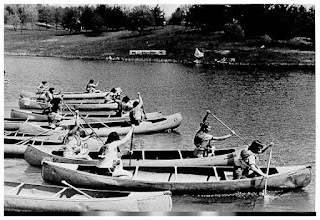 What usually happens next is that the person asks me about a canoe memory; I answer that I have too many to choose from because I have spent a life in canoes. Then they will ask how many canoes I have owned, and which was my favorite? I answer that I have too many to choose from because I have spent a life in canoes. In truth, I could never bond with either aluminum boat I’ve owned. Both boats were good for me at the time because I had to store them outdoors year ‘round. They had much to recommend them: toughness, low cost, stability in calm water, easy to care for, and I could padlock them to the gas meter. They were also hot in the summer sun, cold in the fall and spring, heavy, ugly, slippery when wet, and not stable fully loaded in rough water. 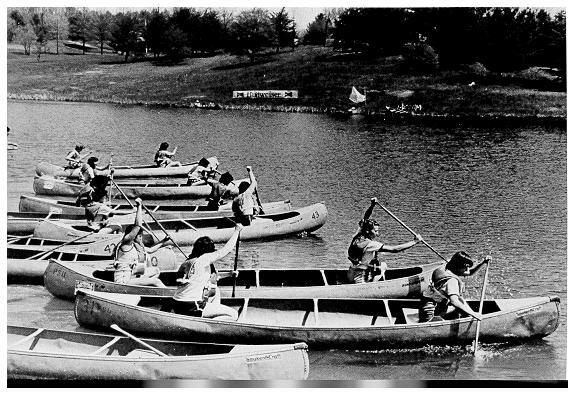 But the biggest gripe I had with those canoes was that they were LOUD. I use canoes and canoeing for quiet, and quiet those boats were not. Not coincidentally, I also use canoes for fishing. Every time I drop something in an aluminum canoe – especially something metallic like a pliers or a reel or a stringer – it makes a WHANG sound, echoes a couple of times, and scares all the fish to Canada. Wood, or wood-and-canvas, canoes are quieter, and there is a warmth to the wood than does not exist in metal. It is dangerous to get too nostalgic about wooden canoes, however, because in the end it’s not the construction material in the boat, but the construction of memories from the boat that matters. 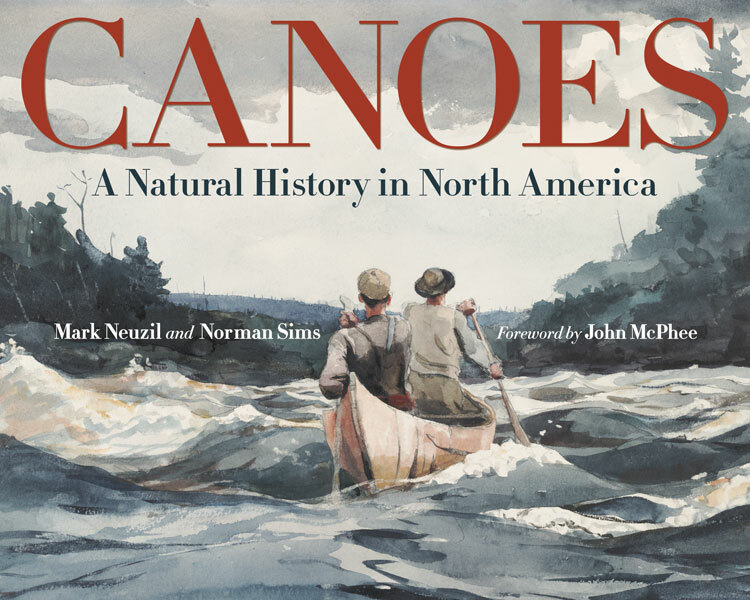 Mark Neuzil is co-author of Canoes: A Natural History in North America and professor of communication and journalism at the University of St. Thomas in St. Paul, Minnesota. 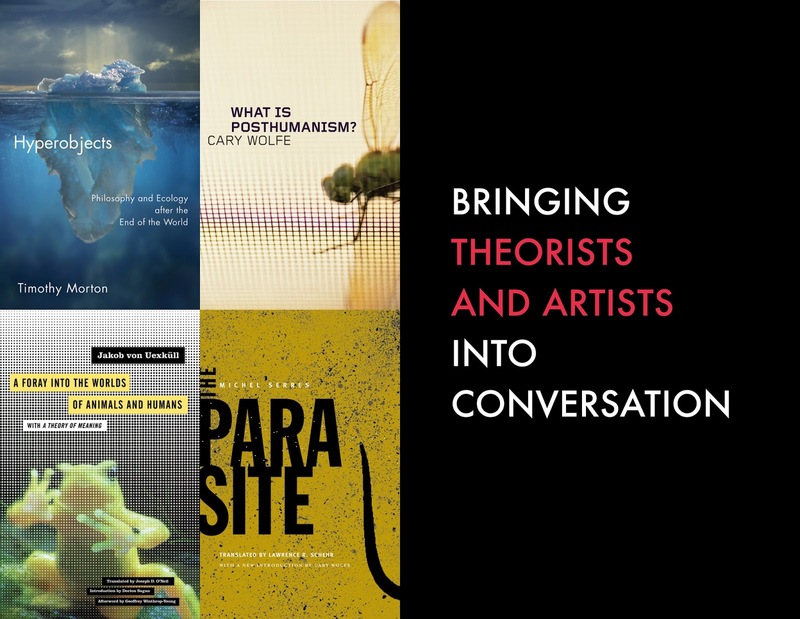 He is the author, coauthor, or editor of seven books and a frequent writer and speaker on environmental themes. A former wilderness guide and summer park ranger, Neuzil is an avid outdoorsman who began canoeing in the 1960s with his family. He is a past board member of the Society of Environmental Journalists and Friends of the Mississippi River. "Canoes is that rare cultural history that manages to transport through its very subject: the North American canoe. 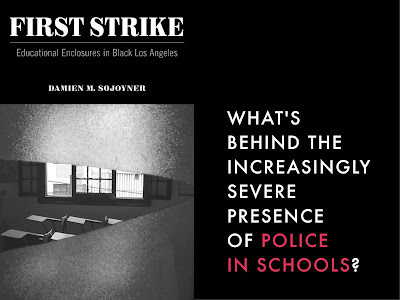 This book is fascinating and thorough and wonderfully accessible. It’s also the definitive work on the single most important conveyance in this continent’s rich past. It’ll carry you away like a beautifully crafted cedar strip canoe." 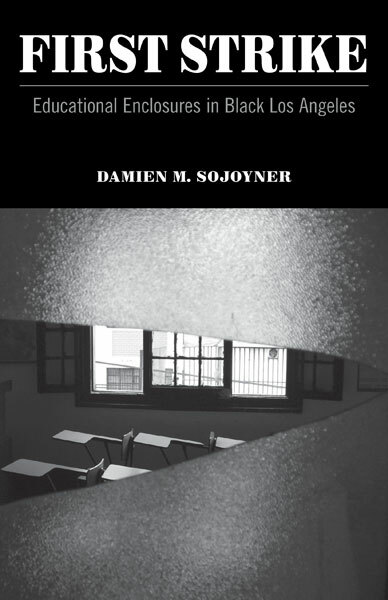 "A fascinating cultural and technological history that, with its hundreds of color and black-and-white images, including many by renowned artists, is a visual as well as informative feast." Looking ahead to this weekend's Nobel prize ceremony, in which Bob Dylan, the 2016 laureate in literature, will likely not attend but will provide a speech. When I looked at my phone in the early morning of Thursday, October 13, I was stunned to discover that Bob Dylan had been awarded the Nobel Prize for Literature. During years of wondering whether this would happen, of reading arguments for and against, of hearing that each year bookies in England would wager the odds of Dylan winning, I had given up thinking about Dylan and the Nobel. 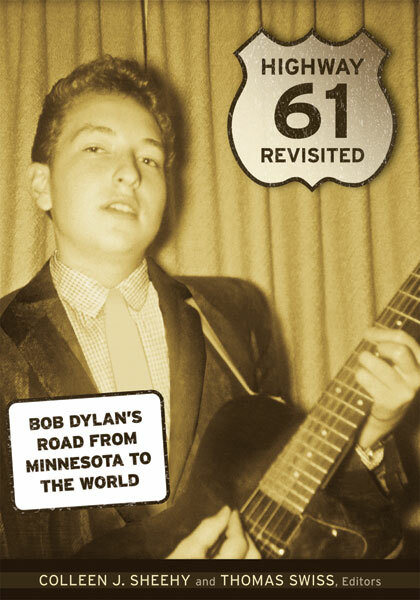 During the years of my Dylan research in Hibbing, I got to be good friends with B.J. He was in his 80s and still burned with the flame of literature. He would host visitors at his home—and there were many who made the pilgrimage to B.J. and Leona’s house just a block from Hibbing High School and a couple blocks from Dylan’s childhood home. The lucky ones were invited into his inner sanctum—his basement study—to read poetry and converse. He had built his basement refuge in the furnace room. A desk, a chair at the desk, another chair for a visitor, a bookshelf, and a CD player were about all that was in there, positioned around the furnace. Several good windows brought sunlight into the room, making it a pleasant if spare space. I began my pilgrimage to Hibbing carrying the questions that so many have asked: How did Bob Dylan come from northern Minnesota? What mix of circumstance, conditions, gifts, personal talents, and motivation helped form this remarkable artist who spoke to audiences around the world? The minute I met B.J. Rolfzen, I knew he was a key to this puzzle. At Dylan Days 2005, the poet Natalie Goldberg introduced B.J. from a small stage at Zimmy’s, a Dylan-themed bar and restaurant. B.J. came to the podium. He was frail, white-haired, and mostly bald. And then he blew me away. He talked about “the power of words.” He talked about how he would bike to one of the town’s graveyards just to read the names of the immigrants who had settled there. He spoke their names to us in poetic cadences. He read some of his favorite poems by Robert Frost and Sylvia Plath. He was not what I expected. I was taken into B.J.’s orbit. I introduced myself and asked to visit him at home, which I did the next morning. When I arrived, Leona greeted me and sent me to the basement study, where B.J. had settled after returning from Sunday Mass. He was sitting at his desk, reading Paradise Lost. He read to me that morning. 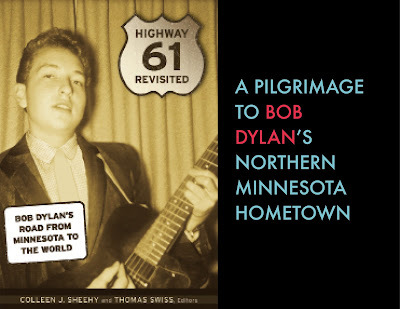 In the four years I spent visiting Hibbing and B.J, getting to know the town and its history, I found the answer to my question about Dylan. As a boy, he had a stable family life, was well-loved, received a good education. His parents tolerated his interest in music. Hibbing was, in many ways, a northern version of Appalachia, the region so central to the evolution of American folk music. The town was a crucible of capitalism with Eastern steel companies and local unions and socialist-leaning immigrants and the power dynamics of boom and bust mining. It gave him material, and an understanding of power and agency. It also provided enough friction to push Robert Zimmerman out on his journey. And then, Dylan had his own crazy and creative spark, something innate, that drove him away to find his destiny. Over those years, my question changed from focusing on Dylan to B.J. Rolfzen, the man who actually was the greater mystery. What accounted for him and his love of literature? He hadn’t had the fortunate childhood of Robert Zimmerman. B.J. 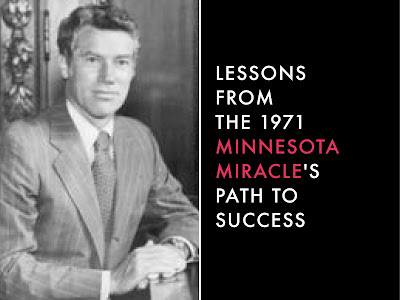 Rolfzen was born in 1923 in Melrose, Minnesota, a smaller town than Hibbing, located in the central Minnesota farmlands. He was one of 10 children. His father was disabled in his childhood from a self-inflicted injury, and his mother struggled through the Great Depression. By his own accounts, B.J.’s was a difficult childhood. He reported that there were no books in the house during his childhood. He didn’t own a toothbrush until he entered the Navy at the age of 18. The nuns at his school were the corporal punishment kind. He discovered books and classical music in the Navy, and that opened a huge door for him. After the war, he went to college on the G.I. Bill, majoring in English, then earned a master’s degree in the subject. He taught in two small towns in central Minnesota before moving in the mid-1950s to a job at Hibbing High School, which prided itself on paying teachers comparatively well. Later in life, Rolfzen wrote an account of his childhood in a slim self-published volume, The Spring of My Life. How remarkable that this man had found such passion for literature. On that October morning as I took in the news about Dylan, I was mostly happy for B.J., feeling that this award recognized Dylan’s teacher with his love of words and his belief in the truths of poetry. I recalled a memory of B.J. that made me laugh. I often laughed with B.J.—he was very funny, with a self-deprecating sense of humor. I remembered telling him that many people thought that Dylan should win the Nobel Prize for Literature. “Wouldn’t that be amazing? Our boy from the North Country?” I asked. We laughed—at both the unlikeliness that that day would ever come and at the prospect that B.J. would break his drinking ban for such a dramatic event. B.J., now is the time to pop the cork. Colleen Sheehy is president and executive director of Public Art St. Paul. Her books include Highway 61 Revisited: Bob Dylan’s Road from Minnesota to the World (coedited with Thomas Swiss) and Cabinet of Curiosities: Mark Dion and the University as Installation. 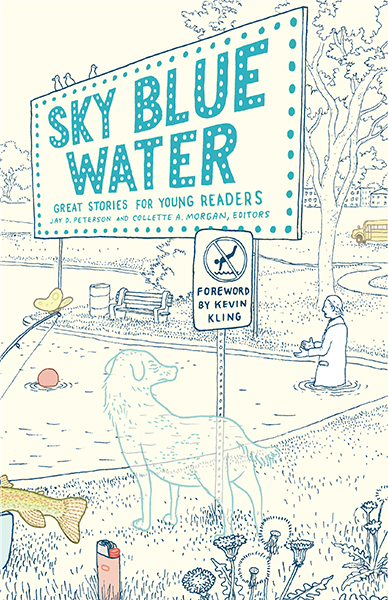 Sky Blue Water: Great Stories for Young Readers is a one-of-a-kind collection of short stories that celebrate Minnesota's vibrant storytelling tradition. A rich and often under-appreciated part of this tradition is youth storytelling. 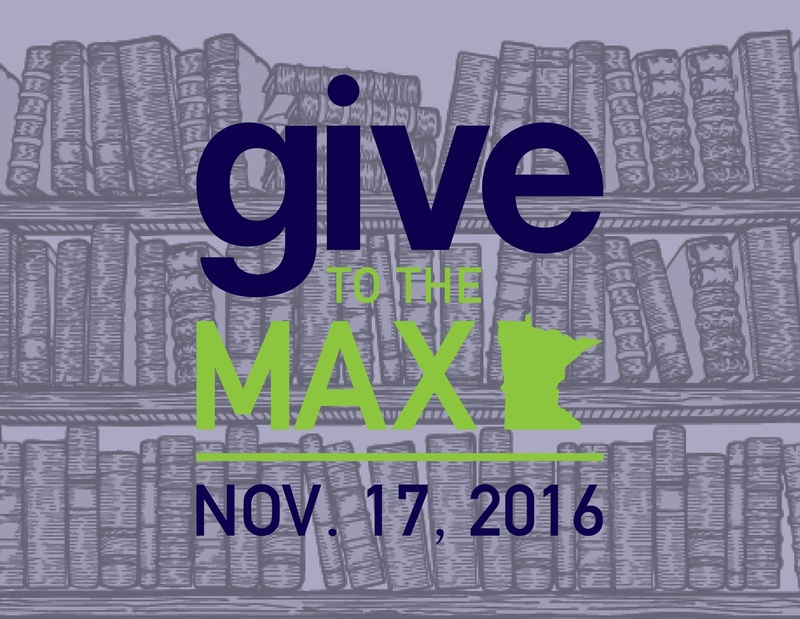 This collection celebrates young adult and intermediate fiction from some of Minnesota's most beloved authors, emerging talents, and many more. 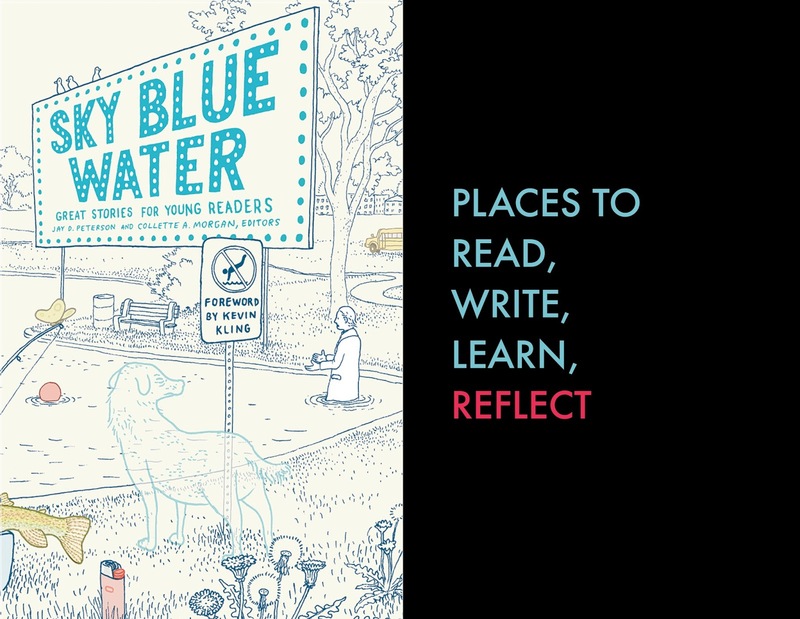 In this two-part series, we feature short, diverse, meaningful reflections on various places and traditions, within and beyond Minnesota, by Sky Blue Water's contributors. Here are writers' reflections on place and tradition plus experiences with food and the chilly seasons. See also Part 1: Writers' favorite places to read, write (and not-write), and think. I think my most unique dining experience in the greater Twin Cities area took place some years ago, when friends invited me to visit a Wisconsin "pizza farm" with them one Friday afternoon. We drove maybe 45 minutes until we crossed over "to the other side," found ourselves winding through various country roads and passing quaint towns, until we came to a beautiful and bucolic farm overflowing with people and cars. The food was so good there that people had come from two states (Wisconsin and Minnesota) to sample it! We spread out our blankets on a patch of grass, and then ordered our pizzas, whose toppings were all fresh ingredients from the farm, such as basil, tomatoes, mozzarella, and even bacon (Food of The Gods!). It took about 45 minutes to get our crispy, piping hot, wood-fired pizzas. Needless to say, they were gone in less than ten. I remember my very first apple. We lived in Ban Vinai Refugee Camp. My parents had gotten clearance for our little family of four and a large group of cousins to venture to a small provincial town. For many of us, it was the furthest we had ever traveled. Armed with just a few bills, their entire life savings in the camp, my mother and father took us on our faraway adventure. There, we saw a glistening red apple on a street vendor's cart. We'd never seen the fruit before. In the camp, the fruit we knew best were the ripe bananas that Thai farmers sold to the refugees from the gates. The apple was 100 baht, more than half of what my mother and father had in their hands, but my sister, my cousins, and I looked, we yearned to touch, we said we smelled flowers we had no name for emanating off the red fruit. My mother and father bought us the single apple. We all took a bite. I remember the mushiness and the guilt of eating the expensive apple. To this day, I cannot tolerate soft apples. It brings to mind, too clearly, the taste of our yearning. Every ethnicity has dishes that can be traced back to the homeland, and many of them are ethno-specific in the extreme. Balut, for example. * Or chipolines. ** Or lutefisk. *** If you’re from Minnesota you’ve heard of lutefisk, although most of you probably haven’t tried it. I hadn’t . . . until I wrote Opposite Land, which concerns lutefisk and its Scandinavian proponents. In the name of research, I partook. I will say this: it was a memorable dish that no amount of white sauce or melted butter could redeem. Perhaps, in fairness, I should try “lutfisk,” the Swedish iteration—but I think I’ll pass. *A duck fetus boiled and served in the shell (Philippines). ***Salted, lye-soaked, dried, re-soaked, and boiled cod (Norway). There is something celebratory and festive about eating outdoors, and I try to indulge in this custom as often as the Minnesota summer will allow. I look for restaurants with patios and invite myself onto people's porches. I walk long distances in the heat in search of ice cream. One of my favorite outdoor venues is Sandcastle, an elegant shack-like restaurant on Lake Nokomis, where you can order food and drink at the little window, and then eat by the water with your toes in the sand. It is almost a requirement that customers at Sandcastle bring a dog along when they dine, so there are many silver bowls of water available at snout-level. Signs warn against feeding the many ducks, but the ducks are probably getting fed; otherwise they wouldn't be so aggressive. The dogs and the splashing bathing-suited children usually keep the ducks in check. All in all, it is thoroughly charming. 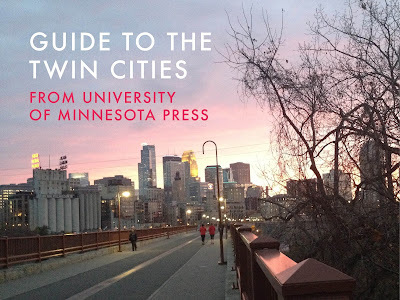 I was thinking about Lake Nokomis when I wrote my contribution to Sky Blue Water. Lutefisk gets a bad rap and it should. It's a horrible, horrible thing. Eating it is not a rite of passage. It won't earn you any Minnesota street credibility. Anyone who says different is a liar. When I was 12 years old my dad encouraged me to eat some at a Scandinavian buffet my grandparents dragged us to before a Christmas concert. Everyone cheered me on. How could I say no? This was clearly going to be a cherished family memory and I'd be the star! I should have known better. Just one year before my grandfather Warren had tricked me into trying some mustard-slathered chitlins and didn't tell me what they were made out of until it was too late. Grandparents may seem kind and innocent. They're not. I cut into the fish jello. I took a bite. Pain. Horror. Betrayal. Beware the lutefisk! One of my favorite travel stories is actually about a trip that someone else took. Many years ago, a photographer friend was making plans to embark on her first trip to Iceland. Before she left, I shared with her a poem by one of my favorite Minnesota writers, Bill Holm, along with one simple challenge. 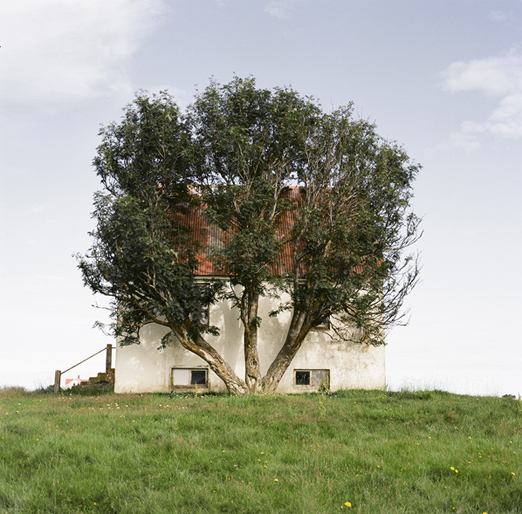 It was a short poem about a single tree in a single county on the northern edge of the country. My challenge? To find that tree and photograph it. almost grown into the house itself. when the farmer quits to move to town. probably given a name and loved. and not another one for miles. or a teeming city to teach you what is man. A quick Google search will tell you that Kelduhverfi sits between a mountain and a river in a region of Iceland that has been vastly transformed over the centuries by shifting tectonic plates. In particular, there was apparently a real wild stretch of earthquakes in the late '70s and early '80s. Now, one would think this might make finding a lone tree a bit of a challenge. Who knows? Maybe it was a challenge. All I know is that, sure enough, she found it. And she returned from her trip with this beautiful photograph. I’m 100% a place kind of person, and my favorite place on earth is the Big Island of Hawaii. But it might be the North Shore of Lake Superior, in our own lovely state. And it might be western Nebraska, where I grew up. I can’t quite decide. What do all these places have in common? Space. Beautiful natural surroundings. A lack of people. A calm but intense energy. A distinct sense of being away from it all. Visiting cities is pretty great, too—I loved Athens, Istanbul, London, Dublin, New York, Los Angeles—but I’m always going to want to come home to the quiet peace of uninhabited land. There’s nothing more soul-nourishing than communing with oceans (inland or otherwise), trees, and hills instead of screens and people caught in the frenzy of the twenty-first century. Old-fashioned? Of course. But give me that rural life any time. Give me my nature. Give me my space. I love the day I wake up and know that the ice on the nearby lake is walkable. Like discovering an amazing book or a secret room, I am allowed into a place that was formerly forbidden. It is full of clues to a hidden world: leaves, frozen in place; trapped bubbles; abandoned nests. The world looks different from this new perspective—the sky closer, and the shore far away. There is a delicious hint of danger as well—perhaps I’ve gauged it wrong and might fall through. So I walk slowly and carefully over the clear, black ice like a brave pioneer, thrilled to my boots. When I was a child and my grandmother was alive, we celebrated the shift from fall into winter with a Hmong new year spirit calling ceremony. I have memories of seeing my older cousins, holding huge wooden pestles, pounding rice cakes in a communal bin in Uncle Chue's old, unfinished basement. My mother and my aunts wrapped the sticky rice cake in pieces of foil paper. We grilled them on hot pans. Ate the sticky off our fingers with the sweet taste of dark corn syrup. I can still smell the scent of incense throughout the house, leading to the open doorway and the stretch of Minnesota's gray dawn. My grandmother, her round, soft body, was the separation between our warm world and the cold outside. After she called out our names into the dark to return to the safety of those who loved us, we feasted on chicken drumsticks and bowls of steaming jasmine rice. We dipped the chicken into bowls of spicy Thai chili and fish sauce. The turn of the seasons still bring me back to those many years in America, where we entered from fall into winter, upon the call of our grandmother's voice. As an adopted Minnesotan, I noticed a winter ritual right away when I moved here in 1992: winter itself! My favorite thing about this state (aside from our exceedingly beautiful nature) is the fact that Minnesotans go outside, in all weather, even in the winter. I have joyfully participated in our winter party since I arrived. In fact, the first package I received from my dad at my new Minnesota address was a pair of Cabela’s long johns (I still have them!). Though I’m not as brave as people who bike to work in February, I own a pair of snowshoes and a pair of skis, and I use them as often as I can. I do refuse to take a vehicle on a frozen lake—that’s a firm boundary—but I’ll do just about anything else outside in the winter. It’s too gorgeous to stay inside! Part 1: Writers' favorite places to read, write (and not-write), and think. 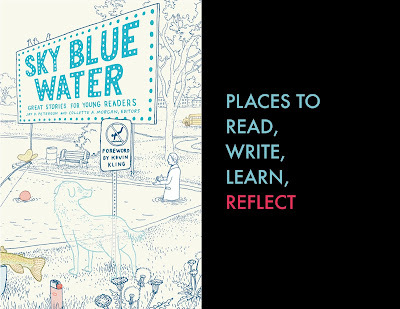 The writers here are contributors to Sky Blue Water: Great Stories for Young Readers, a collection that embodies passion for fostering literacy in young readers. Sky Blue Water celebrates young adult and intermediate fiction from some of Minnesota’s most beloved and award-winning authors to emerging talents and many more. Featuring primarily never-published stories, this anthology beautifully captures the essence of Minnesota adolescence in twenty short stories and poems. A portion of the proceeds from Sky Blue Water will go to the Mid-Continent Oceanographic Institute, a Twin Cities organization offering free tutoring and writing assistance for students ages six to eighteen. 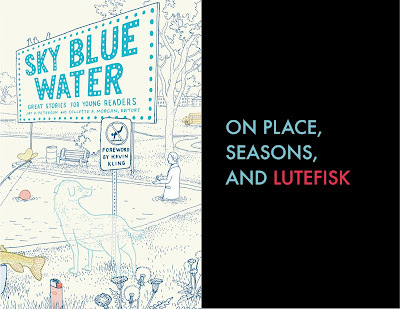 Sky Blue Water: Great Stories for Young Readers is a one-of-a-kind collection of short stories that celebrate Minnesota's vibrant storytelling tradition. A rich and often under-appreciated part of this tradition is youth storytelling. This collection celebrates young adult and intermediate fiction from some of Minnesota's most beloved authors, emerging talents, and many more. In this two-part series, we feature short, diverse, meaningful reflections on various places and traditions, within and beyond Minnesota, by Sky Blue Water's contributors. Here are writers' favorite places to write, read, and get inspired, whether outdoors, at home, or at the library. See also Part 2: Food and seasons. I was stuck. I was desperate. I had some serious revisions to do but couldn’t see my way through the tangle of words. I longed to get away from the computer to a place of seclusion, peace, and beauty; but where? I was in the city and couldn’t go far. Without much hope, I googled “waterfall, path, Minneapolis, secret,” and up popped “Hidden Falls Park.” It looked like just the thing, so I packed up lawn chair, snacks, and manuscript and headed out. Half an hour later I was comfortably wedged between a rock wall and a tree growing on the edge of a cliff. With an enchanting view over the cliff, to my right, the gurgling waterfall a few feet ahead, and a shifting, leafy, light-filled green all around, I sat for a full hour just listening and watching, the pen slack in my hand. The tangle started to relax. After a time the thread of an idea came clear, and I wrote it down. Then another came, and another. A few minutes into the second hour I was scribbling page after page, and by the time I had to leave, many hours later, the writing was in a completely new place. I have loved two libraries, one like a husband and the other like a lover. The Arlington Hills (St. Paul) branch in the old Carnegie building was solid and strong and it was close to our house so it was where our father usually took us in the old, maroon Chevrolet Caprice—a former cop car he had found for cheap. The other: the Rice Street Public Library, its building younger, its brick newer, its contents more mysterious because we only went there once in a long while. At one library, I was myself, a thin Hmong kid with straight bangs and arms full of books that I was interested in. At the other, I dressed up in some cleaner version of myself, my moves more hesitant toward the shelves, my selections limited to only the books that I knew I would read. I grew up with a husband library and a lover library and they both were good to me. I grew up going to the Carnegie library in Eau Claire, Wisconsin, and my favorite library today is the Carnegie library in St. Anthony Park in St. Paul. Like many Carnegie libraries, it’s a beautiful, symmetric building, and this one’s even more stunning as it sits on an angle to the street. Like many Carnegie libraries, it became too small and in 1999 an addition was put on. This was the marvelous round children’s room that was placed behind the building in order to preserve the architectural integrity of the original library. Pay a visit to this extraordinary building. Check out the beautiful gardens in front in the summer. Ascend the stairs and walk into this peaceful space. Notice the big windows that allow light to stream in. It’s a temple of books, of words, of the world. I feel fortunate to live in the land of Sky Blue Water, a place that values libraries and has so many beautiful ones for us to use. Of course, the Hopkins Library on 11th Avenue had books. I remember the spinners of paperbacks from which my mother always found the most interesting novels to read aloud to me. I remember low bins at waist height where you could flip through the picture books in the same way adults looked for albums at the record store. There were shelves of fiction alphabetized by author’s last name (Aiken, Cleary, Cooper, London, Paulsen, Wilder). Yes, there were books. But there was also the bathtub. Tucked into the children’s area, this old-fashioned (even in the 1970s and 1980s) cast iron tub was prime real estate for curling up in while your mother finished browsing in the mysteries. Lined with orange shag carpeting, the tub was often filled with other kids waiting for their own mothers and fighting over the few flattened pillows (or maybe it’s ratty stuffed animals I’m remembering). When you were small you had to figure out how to scale the tub’s tall sides with a book tucked under your arm. Once your legs were longer, it was easy to maneuver in with a stack of Anne of Green Gables. Eventually, the bathtub fell victim to what I can only guess were bureaucratic choices or liability fears (head lice, anyone? ), and the children’s area no longer includes an orange-carpeted tub. Luckily, the books are still there. Alhambra Civic Center Library (California) was the very first library I visited in America. It was there where I learned and was fond of the English learning language collection. It was there that I dreamed to become someday the Lady in Square Glasses and White Ruffled Blouse sitting at the circulation desk. I don’t know why she always looked serious. Two decades later, I became the first Vietnamese librarian in Minnesota and currently work at the Augsburg Park Library, my hometown and favorite library, where I meet library users from all walks of life. It is there that I have dedicated my time to helping new immigrants transition into life in America. I believe that my work has inspired others to also pursue their dreams and a good education. It is there when I hear kids unexpectedly say the darnedest things that make grownups around them laugh or be embarrassed, from Do you fix cars? to Why do you have an extra long tooth? to Why is there a portable toilet on the library roof? to Why does the snapping turtle visit the library? Believe it or not, all these questions have been asked and I have answered them all accordingly. Most of all, our library staff have refined and learned new skills to meet new needs and expectations. Boys and girls, go ask Librarian Phước Trần for the recipe of her birthday cake baked in the refugee camp and the instructions how to make a lucky charm. 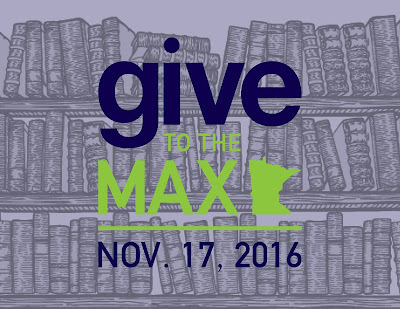 Augsburg Park Library is located at 7100 Nicollet Ave S, Richfield, MN 55423. Every place is a good place to write when you’ve got something that needs to be written. That being said, I do have two favorite writing places. In Duluth it is my “little house in the backyard,” a 10-by-12 shed outfitted with a little woodstove, a little desk, and a big window overlooking Tischer Creek. My other favorite place is the screen porch of my cabin, which is where I am now. It overlooks a north woods lake and the surrounding woods. Probably the reason I love these places so much is that they offer so much in the way of distraction. Really, they are both wonderful places to not write. There’s so much else going on: a ballet school of mergansers come clattering across the lake, executing chassé in their underwater toe shoes; a pileated woodpecker instructs Junior how to jackhammer beetles out of a rotten log; a red squirrel scolds everyone in French (I presume, given the way he rolls his r’s) . . . there are hummingbirds on surveillance missions, chattering kingfishers, and this morning three baby raccoons that trundled up the wrong tree, causing no end of parental consternation. And every day there is the lake itself, undergoing constant scene changes. Really! How’s a person to get any writing done? In late August loons flock up on northern Minnesota lakes before heading south for the winter. Similarly, I meet about the same time of year for a weeklong island retreat with other writers of children’s and YA literature. Incredibly, this ritual has been going on for the past 25 years. An island retreat is the perfect way to shut out the daily patter of life and sink wholly into one’s own work. Temps on the last retreat dropped close to 34 degrees one night, yet the sun warmed the sand beach and rocky shore to the mid-70s during the days. Along with taking saunas, jumping into brisk water, napping, and hiking, our retreats are built around writing on our own, usually in separate cabins, and gathering toward evening to share what we’re working on. In a semi-circle beside a fire in the lodge’s stone hearth, we read from our work-in-progress. Over the years, we’ve left our light fingerprints on each others’ works through critique questions, but always, we respect the work-in-progress as the author’s to revise as she must. Now I must wait for our next retreat, but I’m grateful it’s on my calendar. I wouldn’t be where I am as a writer today or have published nearly as many books without these annual retreats and the nurturing friendships of other dedicated, amazing writers. We writers are pretty solitary, but like the Minnesota state bird, there are times when we need to flock up again before setting off toward our next destination. When I write, my dog just stares at me. His face is filled with despair, like he's pretty sure I won't come up with anything worthwhile today or ever. I should just give up, close my computer, and rub him behind his soft, sweet ears. "I'll prove you wrong, Bruce Valentine!" I tell him. It's very inspiring. 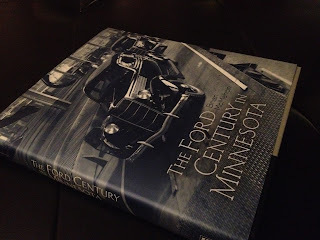 Part 2: Ruminations on place, tradition, and uniquely Minnesota dining experiences.